MUNICH/LEIPZIG -- A ruling by Germany’s highest federal administrative court to allow restrictions on where some diesels can be driven looks likely to speed the demise of the embattled technology over concerns about air pollution. The top administrative judges in Germany upheld lower court rulings that pushed Stuttgart and Dusseldorf toward removing older diesel vehicles from inner cities to improve air quality. The decision, calling bans "generally permissible," is a legal backstop for the growing opposition to diesel in the wake of Volkswagen Group’s cheating scandal. "We're witnessing the creeping death of diesel," said Stefan Bratzel, director of the Center of Automotive Management at the University of Applied Sciences in Bergisch Gladbach, Germany. The technology will still survive in some segments like trucks, but "if you're a private car buyer, it's very hard to pick diesel. The insecurity is growing." The judges' decision is a blueprint for dozens of municipalities that struggle with excessive levels of smog-causing nitrogen dioxide, which is mainly emitted from diesel vehicles. The lower courts argued that banning diesel cars in inner cities is the most effective way to cut exhaust-gas levels swiftly and meet European Union pollution limits. The ruling affects more than 10 million vehicle owners in Germany and could have ripple effects across Europe. Drivers and automakers have been anxiously watching the case, which could hit the resale value of older vehicles or prompt costly upgrades to emissions systems. Volkswagen, BMW and Daimler shares all fell after the court ruling. Diesel proponents have been fighting an uphill battle since VW's emission-cheating scandal was made public in September 2015. At the time, the vehicles accounted for nearly half of car sales in Germany. That's fallen to a third, as a steady stream of news about excessive real-world emissions undermined automaker claims that the technology is clean. Some cities aim to move quickly on limiting the free movement of diesel cars. Hamburg, Germany's second-biggest city, said it planned to phase in restrictions on two streets within weeks, Manager Magazin reported, citing Environment Senator Jens Kerstan. While implementing bans would ultimately be up to affected cities, the court ruling at the very least increases pressure on automakers to provide hardware fixes for older diesel vehicles, a move that may cost the industry 14.5 billion euros ($17.9 billion), according to Evercore ISI. Car manufacturers have thus far eschewed retrofitting older diesel models in favor of much cheaper software updates. Environment Minister Barbara Hendricks, who reiterated the government's desire to avoid driving restrictions, said automakers must now do their part. "It's the automakers who caused the problem, and we can't let them evade responsibility," said Hendricks, a member of the Social Democrats who has pursued a much harder line than others in the government, including Chancellor Angela Merkel. "We need not only software updates but technical modifications of diesel cars that significantly lower nitrogen-oxide emissions so you can continue to drive in the inner cities." Diesel engines are the main emitters of nitrogen oxides, which causes respiratory problems and has been linked to premature deaths. Under EU rules, member countries are required to keep the gas to under 40 micrograms per cubic meter. More than seven years after the 2010 deadline, the average levels in Stuttgart -- home to Mercedes-Benz and Porsche -- were about double what is allowed. Some 65 other cities also fell short of meeting targets. Encouraged by government tax subsidies and loose regulations, the European auto industry invested heavily in diesel as a profitable stop-gap technology to meet tighter rules on carbon dioxide emissions. Standards will again tighten in 2021, which means automakers risk fines as consumers desert diesel. "This is a groundbreaking ruling, and one which we expect has set a strong precedent for similar action across Europe," Arndt Ellinghorst, a London-based auto-industry analyst with Evercore ISI, said in a note to clients. 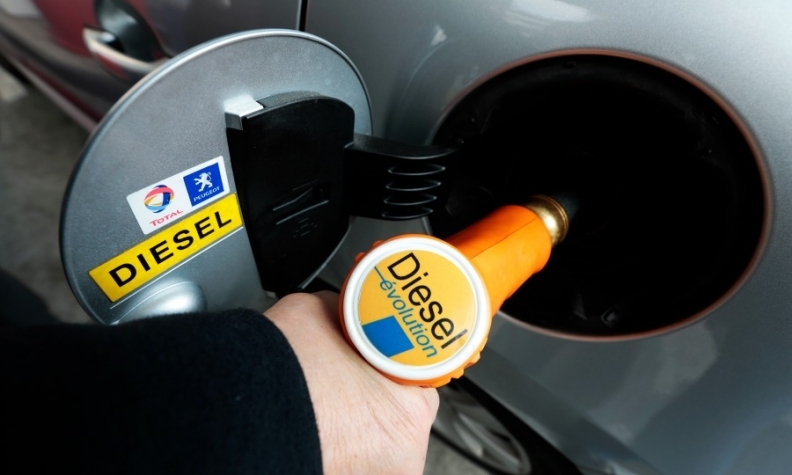 The ruling is "damaging to already-battered diesel sentiment."